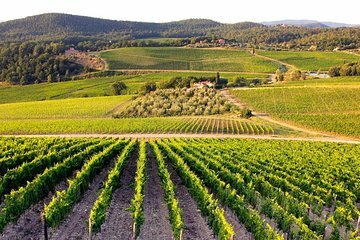 Enjoy personalized attention on this small-group tour of Siena and the Chianti region. Departing from Florence, enjoy the scenery on the way, since round-trip transportation and all navigation is taken care of. Listen to your guide's in-depth commentary as you visit area highlights such as Greve, Montefioralle, and San Gimignano. Taste wine made locally and learn about how the sangiovese grapes are cultivated and harvested; you'll learn much more than you would simply exploring the region on your own.